Domain name registration with ALIF IT Solutions Pvt. Ltd. gives you good value at a great price. You can register a 1-year domain for only $14.95*, or even less with longer terms. With each domain name you register at NameSecure, you receive unlimited Web forwarding, lock-protect security and many more services completely free. If you transfer an existing domain name to ALIF IT Solutions Pvt. Ltd., you get these services plus one free year on your domain registration. If you are a bulk domain name buyer, you can save time and money.Bluk Domain makes it cheaper to register domain names and easier to manage multiple domains at the same time. ALIF IT Solutions Pvt. Ltd. allows you to get more for your dollar by offering great prices on domains, as well as services such as e-mail,private WHOIS registration, Web hosting, domain transfers, and more. After signup you will be given access to the HostGator reseller control panel, Web Host Manager. WHM will allow you to manage and provide your customers with their own user control panels (cPanel) which will enable them to create and modify their own web sites. Once your customer is logged into cPanel they are able to control sub domains, email addresses, passwords and much more without requiring any assistance! 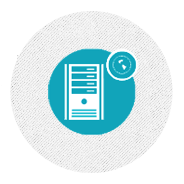 Linux VPS Hosting is an ideal bridge between shared hosting and dedicated servers. VPS plans can be completely customized to match your specific hosting needs and upgraded anytime as your site grows. It's a great way to start small but still have the ability to scale up very quickly. ALIF IT Solutions Pvt. Ltd. also offers a variety of Web hosting packages. Now it's easier than ever to register a domain name and host your own personal or small business Web site.